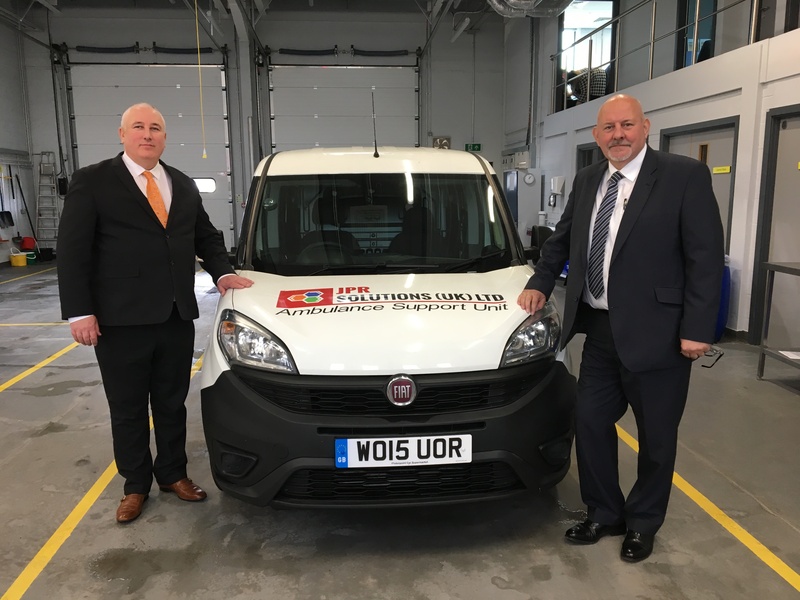 JPR Solutions (UK) Limited, based in Stoke-on-Trent, is a very successful business covering many different sectors including infection control, a bespoke and specialised cleaning service, vehicle preparation and a logistical movement service. Managing Director, Roland Conn, is supported by Carl Wheeldon, Director of Compliance and Business Development, plus a strong team which covers much of the UK. One of the main sectors of the business is the deep cleaning of ambulances combined with stringent infection control techniques. It cannot be stressed enough just how important this type of work is not only to ensure that the ambulance is super clean but also that it is infection free – a really vital part of their service. It is well known that ambulance crews offer an essential service and that time is of the essence. To help them achieve this, JPR Solutions offer a vehicle preparation service to take the pressure from ambulance crews and ensure a quick turnaround of service. These tasks include stock management, checking and testing of medical equipment, external cleaning of the vehicle plus refuelling and numerous other important jobs. In conjunction with this, they offer a logistical reallocation of vehicles to alternative sites whenever necessary. Another big sector of their business is crime scene cleaning and decontamination. Offering a discreet and rapid 24 hour call out service means that a team can be mobilised within two hours, reducing the risk of contamination across a delicate and susceptible crime scene. All these services are backed up by a team which is both professional and understanding, qualities which are essential when faced with difficult and sometimes emotional situations. Managing Director, Roland Conn, commented “I believe that the loan we have received from the Michelin Development fund and the on-going business support will allow us to achieve the potential of not only the company but also the staff that we currently employ. It will also assist in the growth of the business, investment in our infrastructure to support growth, and also future recruitment requirements”.